Your deck’s structure will help determine whether you can build an extension. Otherwise, you’ll have to be content with renovating your existing deck. A qualified professional can evaluate your deck surface and give you the available options, as well as the estimated cost. Tip: Keep in mind that any changes are going to be for the long term, so it’s worth investing in quality materials and a reliable contractor. Sometimes, even if a straight extension is not an option, a second level can be added. Alternatively, you might be able to make changes, such as moving the staircase for easier access. 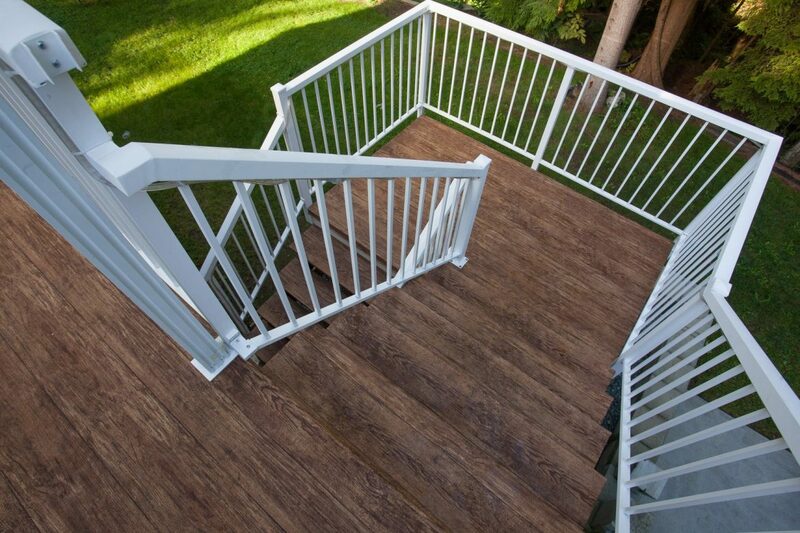 Simple changes can help open up your deck and make it feel more spacious. You can also look at increasing the usable space of a deck extension – for example, by installing a deck on the second floor you can add a storage area or a vinyl patio below for twice as much area at roughly the same cost. Your vinyl deck’s railings are a key component of any deck renovation considerations. Changing out bulky posts, railings, and balusters for something lighter (such as glass) can let in more light, make your deck feel brighter, as well as updating and improving the overall look of your home. Additionally, you can save yourself time and energy by choosing materials that last longer and require less regular maintenance. If you are considering a deck extension, try to consider the balance of your deck versus your overall yard space. You don’t want to overreach and end up with too much deck but not enough green space. It can help to view your space from the eye of someone wishing to buy your home – will they want that much deck space? While you are considering a deck renovation or extension, you may also want to budget for some upgrades as well to increase usability – particularly for small decks. For example, you can build benches into the perimeter for additional seating, add planter boxes, or create storage underneath a new roof deck surface. The more value you can get out of your new deck, the better. No matter what time of year, it’s never too early to start planning your deck renovation. 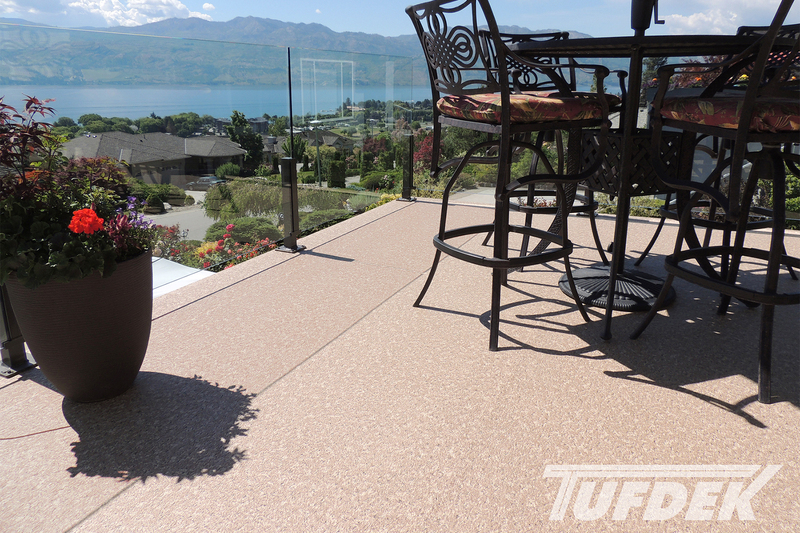 Talk to a Tufdek dealer about getting your deck renovation started today!